It’s hard to find any one program shaking up the charts this week. There is very little movement within the top 10s on either the Digital Originals or the Overall TV charts this week. 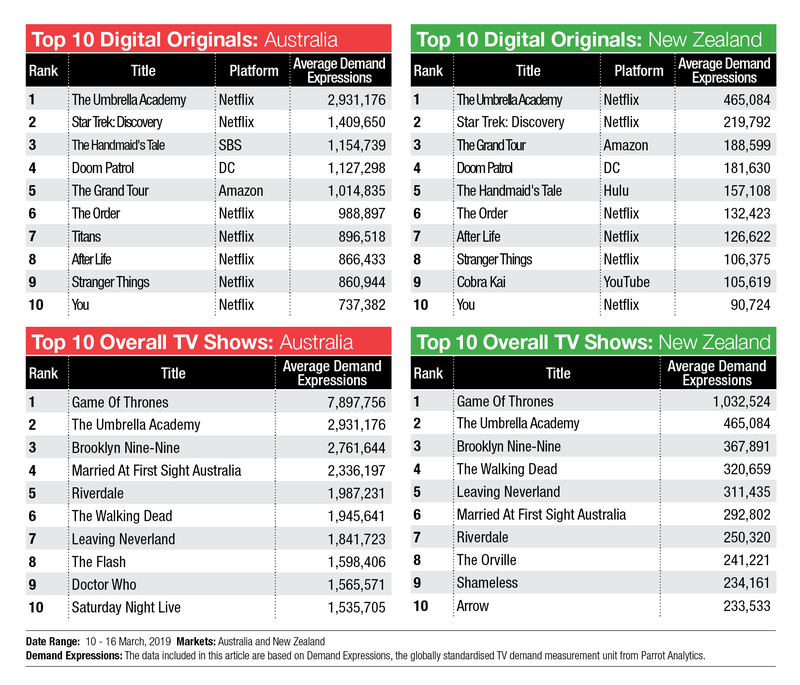 For a fourth successive week Netflix’s The Umbrella Academy has ranked #1 on Digital Originals in Australia and New Zealand, while Game Of Thrones remains in that position on the Overall TV charts. New to the Digital Originals charts in both markets this week are Netflix’s The Order and After Life. The Order is a horror drama centred around a college student who joins a secret society. 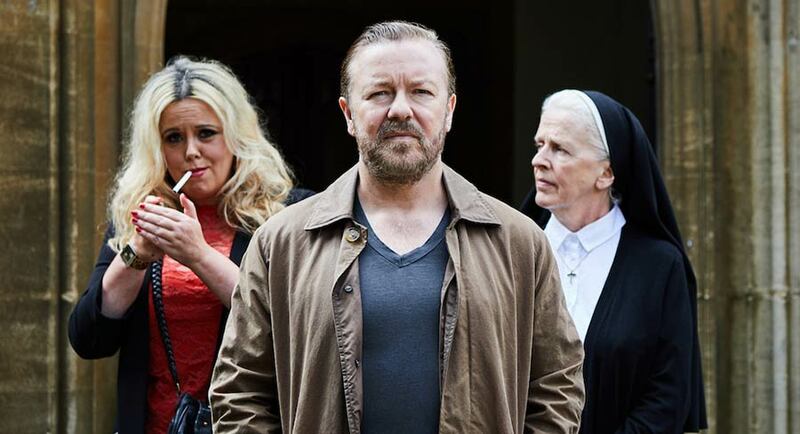 The After Life is the dark comedy, which is the latest creation from creator, producer, director and lead actor Ricky Gervais. As the final season of Game Of Thrones draws nearer, get used to seeing the show top the chart for the foreseeable future. 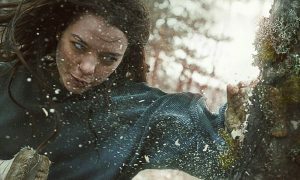 Fans of the series from HBO coming to Foxtel in Australia were given the episodes lengths by the broadcaster this week. Episode one of season eight is the shortest at 54 minutes. 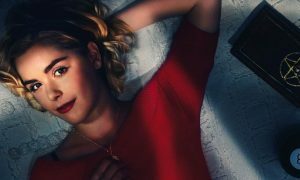 The second episode is also just under one hour while the four remaining episodes will push out to close to 80 minutes each.